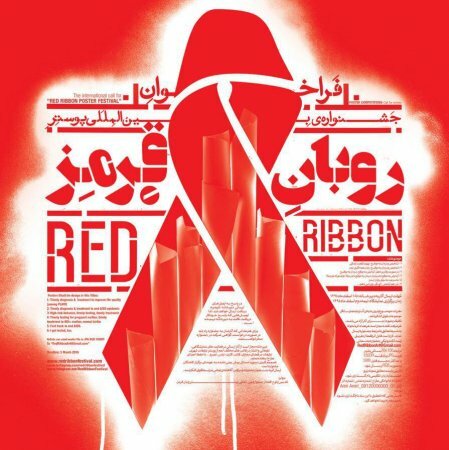 The First International Red Ribbon Festival to raise awareness on HIV/AIDS is underway at Tehran’s Mellat Cinemaplex Gallery. The festival is categorized under several major themes including improving the quality of life of the afflicted, early diagnosis and treatment, timely testing and treatment of pregnant mothers, fast-track elimination of the epidemic, and ensuring birth of healthy babies from infected mothers. More than 600 artworks on the theme of HIV/AIDS from Iran and the Netherlands, Hungary, Poland, France, the US, Greece, Mexico, Italy, South Korea, Russia, China, Ecuador, Switzerland, Kyrgyzstan and Iraq were received but only 91 were selected for the exhibition. Representatives from the festival organizer, Payam Avaran Hamyari, an NGO, and the sponsor, UNAIDS in Iran, attended the event. The festival will conclude on June 12, and visitors can vote for the artwork of their choice to select the award-winning entry.